A millennial labor force that wants to approach work differently. It wants flexibility in hours and time on-site, workplaces that do not have to be in the office, and benefits and perks that promote their lifestyles. A rise in remote staffing. Particularly when project work is a major function of an enterprise, the ability to find expertise all over the globe is a great opportunity. Technology allows project teams to work collaboratively no matter where they reside, and this means that top expertise can be sought and acquired. A rise in contracted rather than full-time regular employees. A recent NPR/Marist poll shows that one in five American workers now identify themselves as contract rather than full-time, regular employees. Certainly, this is a cost savings for enterprises. But there are additional challenges for HR managers when those contracts have to be designed to cover a multitude of responsibilities and contingencies. None of these disruptions is new to HR managers. They’ve been successfully implementing policies and procedures for these disruption for years now. And the discussion of millennials in the workplace and remote contracted “gig” employees is over. What may be new to HR, however, is the next generational work force – Generation Z. They will bring new disruptions. And getting an early “handle” on just who this generation is and what their demands/needs are will be an appropriate preparatory function that will put HR departments in the running to attract and keep the best talent. We learned a lot from the aftermath of the Parkland, Florida high school shooting incident. We discovered that this generation is so connected they are able to reach out all over the planet, gather their forces, and demand action, not just words. In fact, in Florida, a staunch gun rights state, they were able to put enough pressure on the legislature and governor to get a piece of gun control legislation passed that no one thought possible. And they are not backing down. They are focused, committed, and will use their numbers to push their agendas forward. Many are also of voting age now, and that should be of concern for politicians who try to “ride the fence” on issues that are dear to them. But what does all of this have to do with their entrance into the workforce? 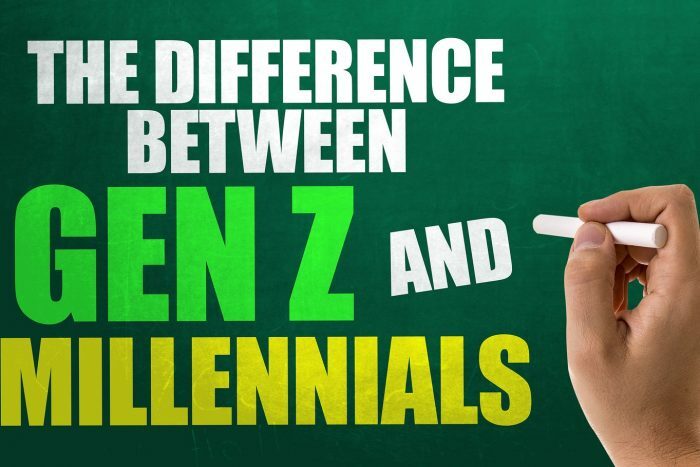 Generation Z — those born after the mid-1990s – are just beginning to enter the workforce. The Pew Research Center says that in 2017 these post-millennials comprised about 5% — 9 million workers — of the U.S. workforce. Their percentage will only increase as the baby boomers continue to retire and other Gen Zers reach working age. They place a high value on mentorship, with a third of them ranking it as the most important benefit an employer can offer, just a few percentage points behind health care. Salary and raises are far less important to this group than a work culture with a high degree of autonomy. What would get them to stay at a job for more than 3 years? An empowering work culture said 29%, almost twice the 15% that said money. They have a firm definition of what a good employer is and it differs from that of millennials. Employers may still be focusing on friendly environments, flexible schedules, and perks that support millennial lifestyle desires. Gen Z, however, wants an employer focused on providing them with career growth, work that is fulfilling, and stability in the workplace. “Friendly” cultures, flexibility of schedule and salary are way down on their list of priorities. It will be critical for employers to demonstrate that they can and will help these new employees reach their career goals. Many of them actually state that they expect to be in their “dream Job” within 10 years of entering the workforce. An employer who can provide that “dream job” will have a loyal and long-term employee. They are more technically savvy than even their older millennial siblings. They will expect information to be at their fingertips instantly. They have never known a world without a smart phone. They are project-oriented and will run with whatever they are given. However, they want close relationships with their superiors and rather constant feedback. They do not have highly developed social skills – they are used to digital communications via texts and messaging. Collaboration is not as important to them as to millennials. They demand equality of treatment and diversity in their personal and professional lives. They ranked equality as the most important cause for employers to support. More than a job that fulfills their passion, they want stability. This is a generation with big goals and high aspirations for its future. It is willing to work hard for the right organization. Tuning into their values and needs will mean that an organization will be tapping into a committed, talented, and focused work force. James Scott, professional marketer and CEO at Essay Supply. He is passionate about the innovative and friendly team management that creates healthy working environment. His other interests include digital marketing, agile and growth hacking.